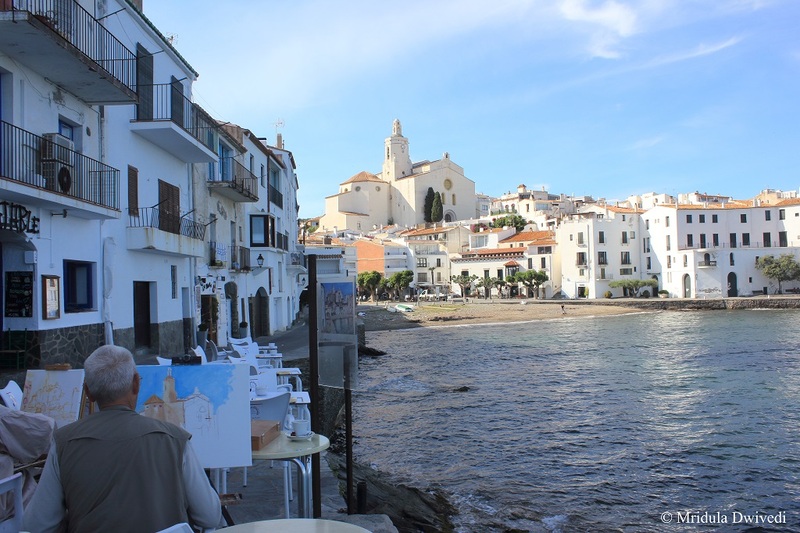 Cadaques, Spain- I Would Like to Go Back! 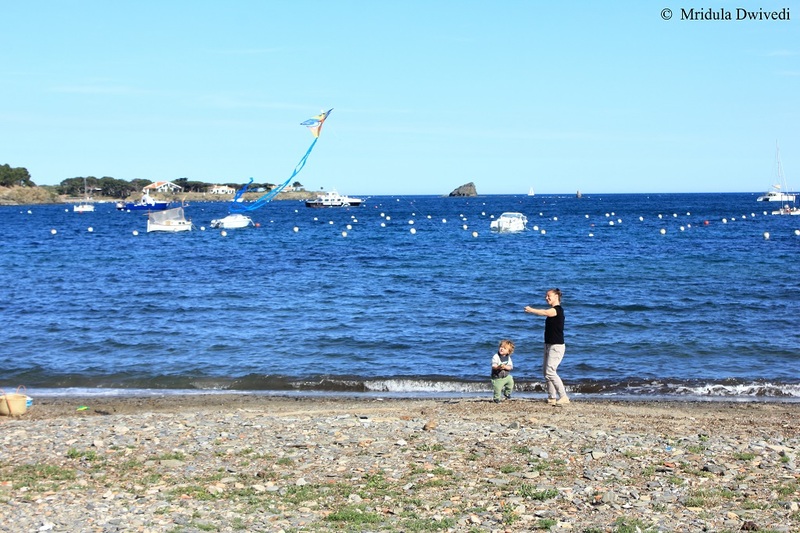 As our car pulled in to the parking lot at Cadaques my first feeling was of relief. 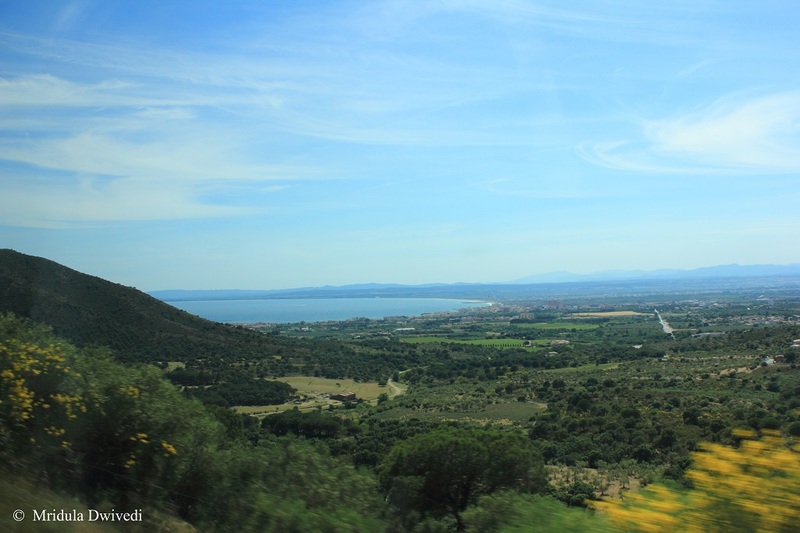 We had taken the winding road from the town of Roses and I get motion sickness on such roads. Though I did fine this time, all the same I was happy to jump out of the car and walk around. I simply love walking. As we strolled along the car park, I noticed the graffiti on the wall. It was there in Barcelona too. It was done with taste though I wish I had more time to explore them. 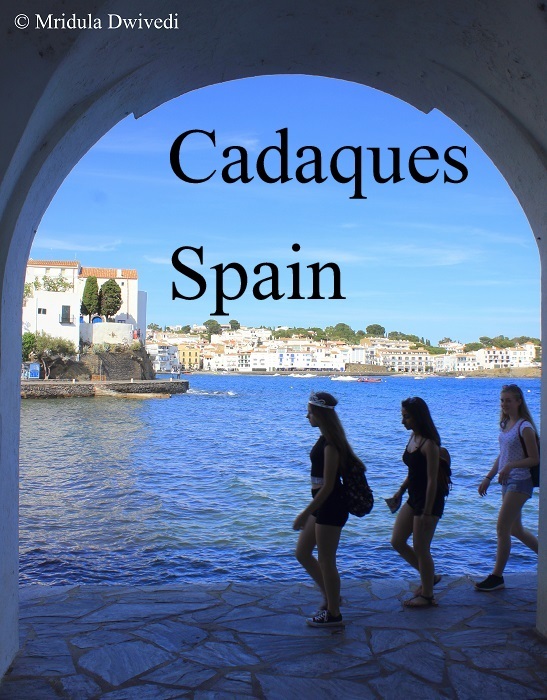 We entered the narrow cobbled lanes of Cadaques. Soon I was staring at the deep blue of the Mediterranean Sea! 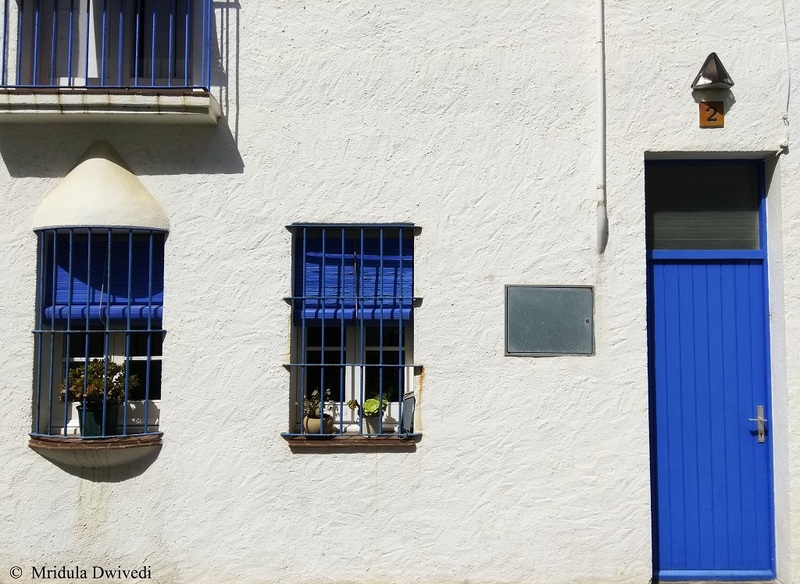 Cadaques is also famous because the of the genius of Dali, he maintained a house in the nearby Portlligat. If you wish to explore the house interiors advance booking is recommended. 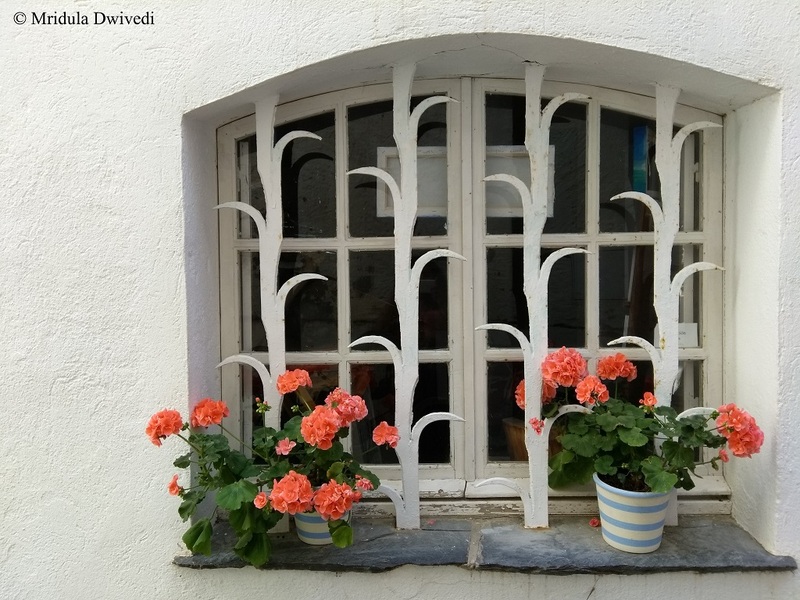 As we walked, I spotted pretty doors and windows, at every nook and corner. 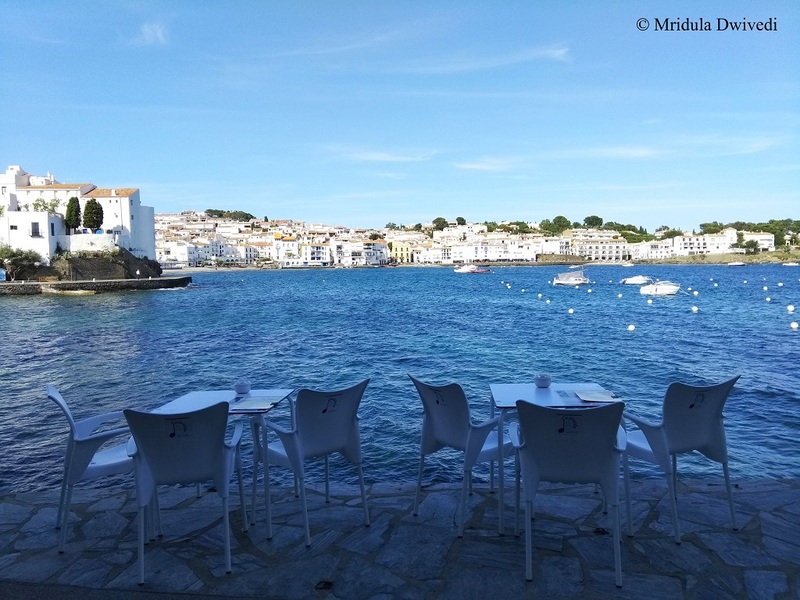 Being part of a group of bloggers hosted by Catalonia Tourism Board, I had a few hours to savor Cadaques whereas I could have easily stayed there for a week! The place is dotted with cafes, both by the waterfront and away from it. I wish I had time to sit down and have coffee! I ate the local dessert, Taps, which looks like a cork. It is mildly sweet. And then we walked up to the church. I liked the vibes of the city. There were painters sitting by the waterfront immersed in their work! The cafe workers would nod at you even if you were not entering their shop. 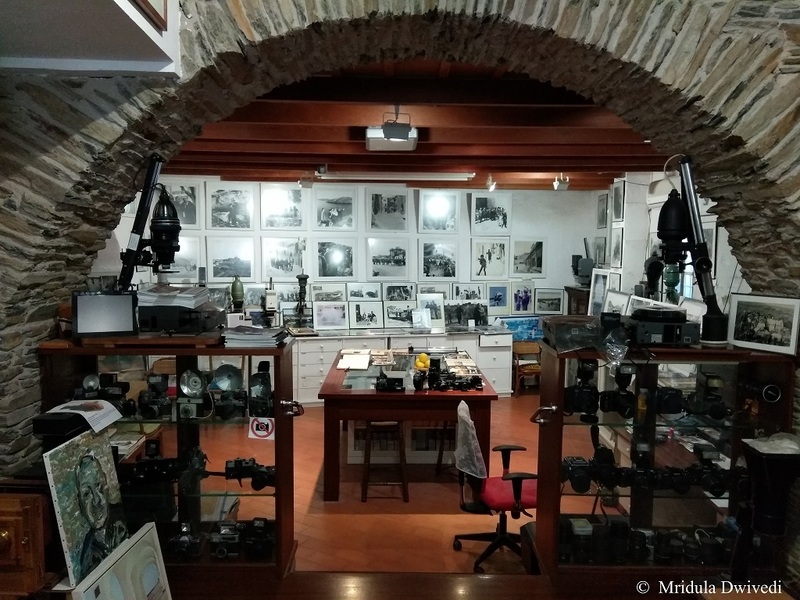 While walking up to the church, we stopped at an antique camera shop. The owner was an old gentleman who spoke almost no English, but we still knew we were welcome in his shop! Till the church we walked in group, after that it was free time. I retraced my steps to click pictures more leisurely. I spotted the mother and son flying kite by the sea. I giggled along with them. When Did You Last Fly a Kite? I walked up and put my toes in the sea water. The water was cold, I decide not get wet. 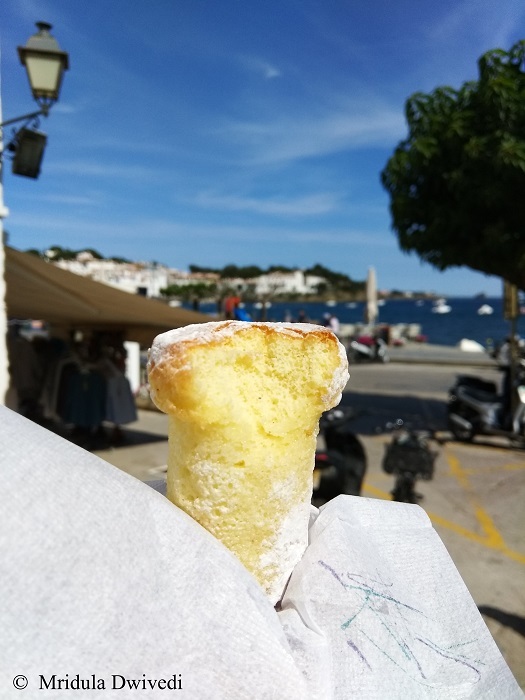 My free time went flying in Cadaques. Reluctantly I walked back to the meeting point to join the rest of the group. Being late is not an option when you are part of a professional group! How I wish I had enough money to go back to all the places I visited fleetingly! 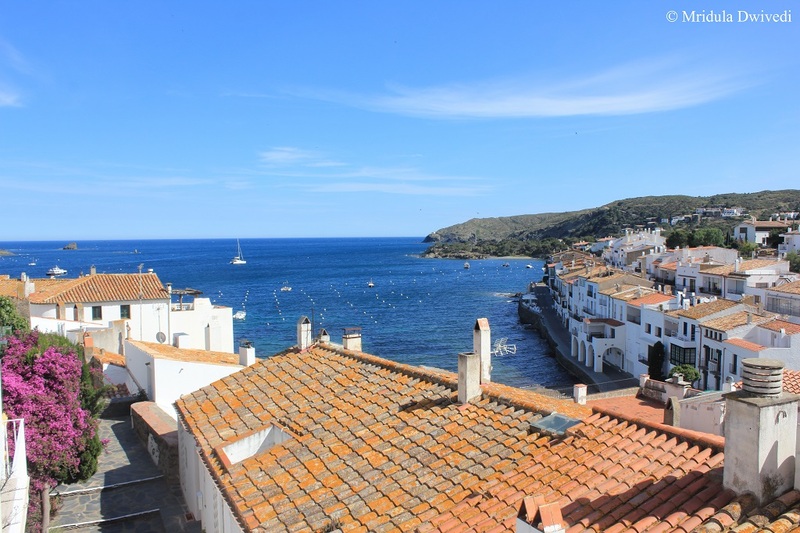 I could easily stay at Cadaques for a week, exploring every beautiful nook and corner of the small sleepy town! I have a feeling it is a good place to do nothing. And if you would ask me, those are the best kind of holidays!